Orlando Pirates were eliminated from the continental elite competition as they lost 2-1 to Guinea’s Horoya in a CAF Champions League Group B match in Conakry, Guinea, on Saturday. Abdoulaye Camara broke the deadlock in the 56th minute, when he took a shot from range which made its way through a crowded Pirates penalty area to beat goalkeeper Wayne Sandilands at the near post. The hosts doubled their lead in the 72nd minute, when Ocansey Mandela took advantage of some timid Pirates defending to work the ball home. Zambian striker Justin Shonga did manage to get Pirates on to the scoresheet in the 91st minute after capitalising on a rare Horoya defensive glitch. Pirates, who went into the match in need of a win in order to advance to the last-eight stage of the competition, nearly paid the price as early as the opening minute, when Mandela’s strike had the beating of Sandilands, but it was kept out by the goalpost. Six minutes later, the visitors were denied what seemed to be a penalty when Thamsanqa Gabuza was shoved to the ground in the Horoya penalty area. 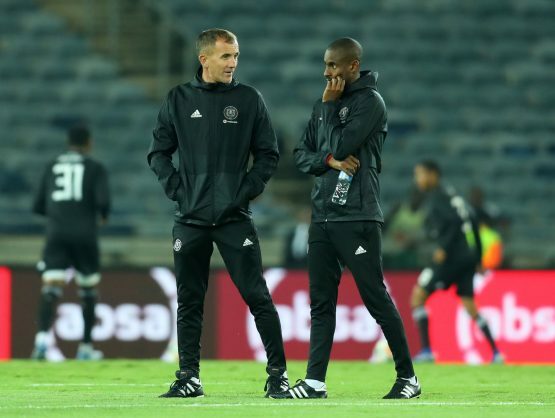 The Pirates game plan had to be adjusted in the first half after an injury-enforced substitution which saw Xolani Mlambo replaced by Augustine Mulenga. Tunisia’s Esperance will join Horoya as the Group B representatives in the pot for the quarterfinals draw. The Soweto giants will now change focus to domestic league action, as they prepare to host Black Leopards on March 29.